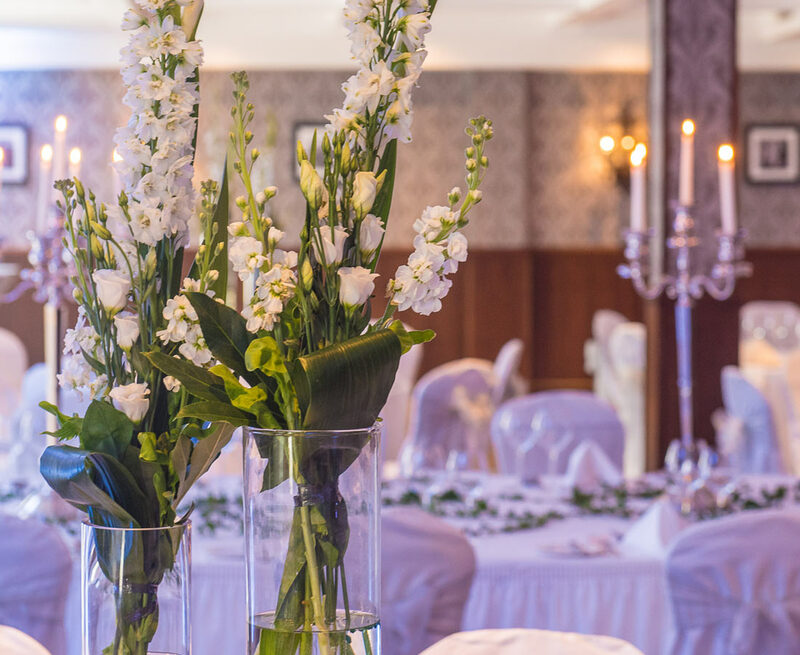 Clontarf Castle Hotel offers a range of different locations and opportunities around which a bespoke wedding can be designed. What you choose will depend on your own personality and style – whether that's a lavish celebration in the grandeur of the Great Hall ballroom, an intimate wedding lunch in Fahrenheit Restaurant, or a sophisticated soirée in Indigo Lounge or the Viking Suite. 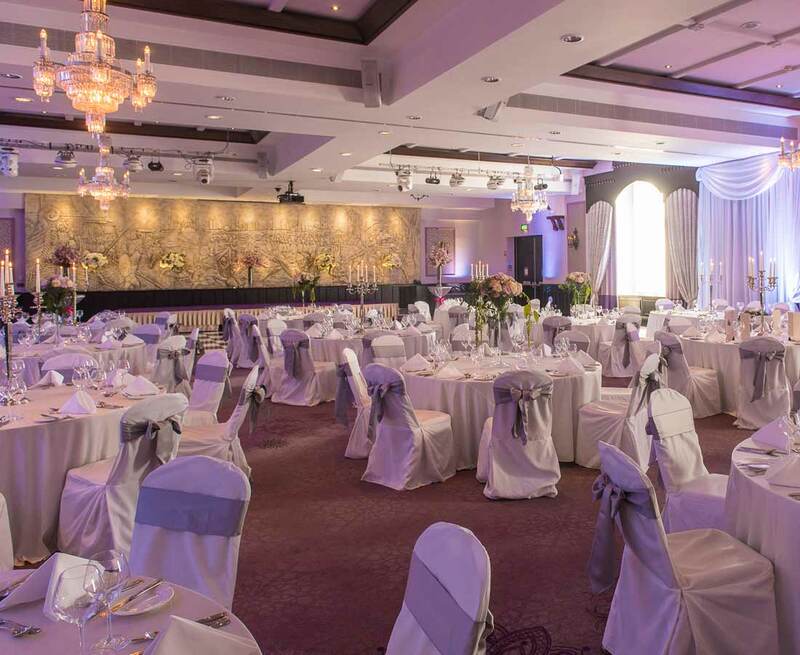 The recently renovated Great Hall is a truly elegant venue, featuring luxurious cream and purple tones and lofty ceiling. Louise Kennedy designed crystal chandeliers illuminate a dramatic frieze depicting the Battle of Clontarf, a celebration of the incredible heritage of this centuries-old castle. The Great Hall contains its own purpose-built bar, pre-reception area and can host upwards of 120 guests. The Viking Suite is an inviting exclusive space that features a striking colour scheme and private pre-reception area. With a purpose-built bar inside the room, full air-conditioning and flooded by natural daylight, the Viking Suite is a popular choice for civil ceremonies and wedding receptions alike for up to 100 guests. 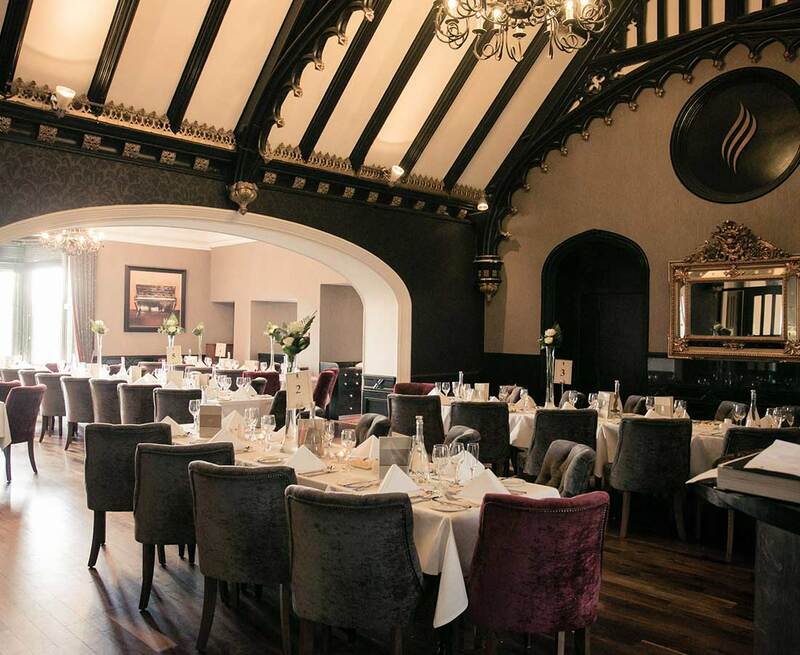 Located in the original 12th century castle wing, Fahrenheit Restaurant showcases the medieval history of Clontarf Castle Hotel. High-beamed ceilings, ornate stained glass windows and panelled walls lend a sense of drama and atmosphere to this unique space, the perfect choice for an intimate gathering in a truly romantic setting. The double AA Rosette awarded, Fahrenheit Restaurant is the perfect choice for intimate wedding gatherings of up to 70 persons. 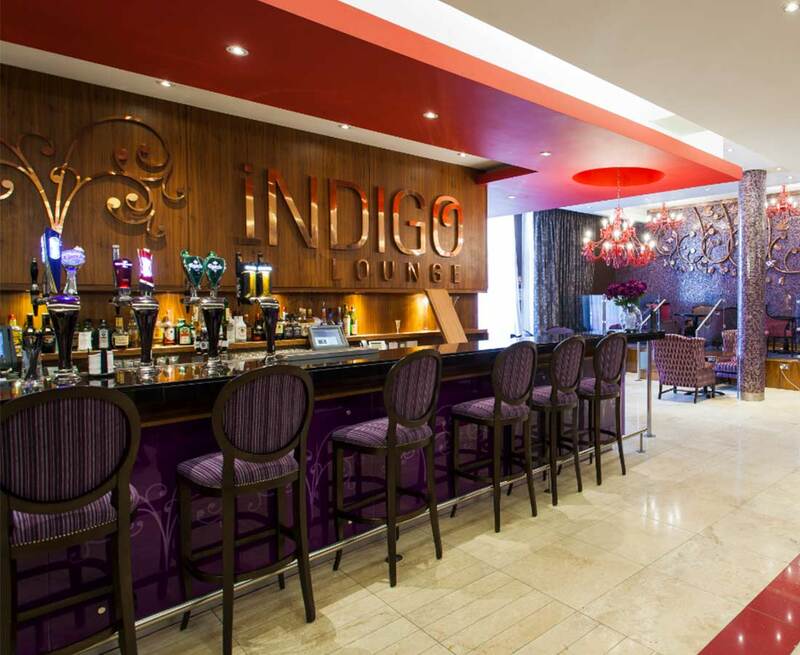 There's a sense of fun sophistication in Indigo Lounge, where glamorous red chandeliers cast a sparkle over your evening occasion. Chic and contemporary Indigo Lounge connects with an outdoor terrace – making it perfect for champagne receptions, al fresco dining and night-time soirées.